Imagine rolling your eyes to help you see more clearly. Although it wouldn't work for humans, new research published today in Nature Communications has shown mantis shrimp use eye rotations to enhance their polarization vision. PhD student Ilse Daly, from the Ecology of Vision research group in the from the University of Bristol's School of Biological Sciences, found the eye-rolling behaviour of mantis shrimp helps them see the world around them. Co-author Dr Nicholas Roberts, also from the School of Biological Sciences, said: "We have known for a while that mantis shrimp see the world very differently from humans"
"They can use 12 different colour channels (we use only three), and can see the polarization of light. 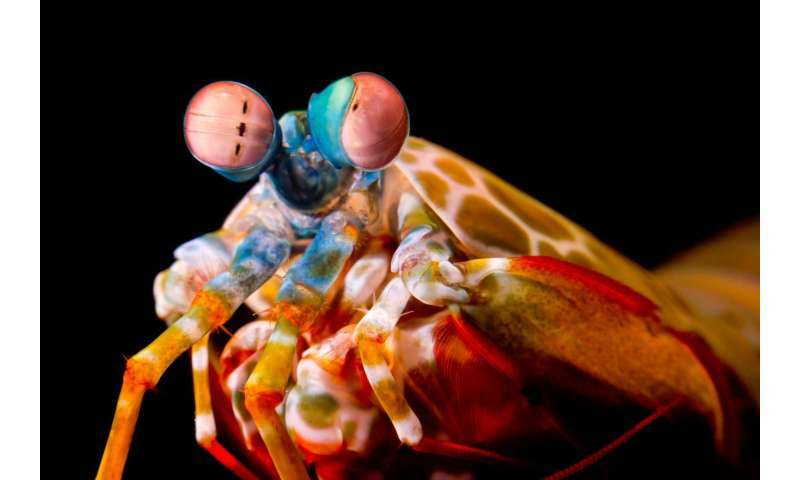 But the eye movements of mantis shrimp have always been something of a puzzle. "Intuitively, a stable eye should see the world better than a mobile one, but mantis shrimp seem to have found a different way to see more clearly."